It&apos;s another hot summer in the Pacific Northwest and what better way to stay cool then with a delicious cold dessert? We&apos;ve come up with a list of seven spots in Pierce County where you can grab a cold treat to help you fight the heat. 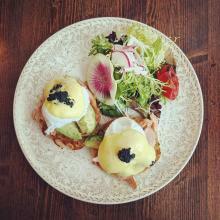 This new spot has gained quite the buzz from their fun menu. 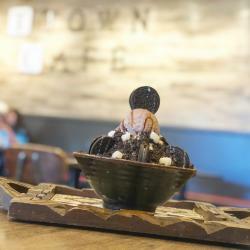 One item that’s sure to hit the spot is T-Town&apos;s menu of “snowflakes.” These are shave-ice bowls, but instead of using traditional ice, the ice is made from milk, making it creamier than it’s Hawaiian cousin. You can get snowflake variations featuring Oreos, coffee and even green tea. Bubble tea is a great sweet option to cool you down and Bubble Island is the king of bubble tea. 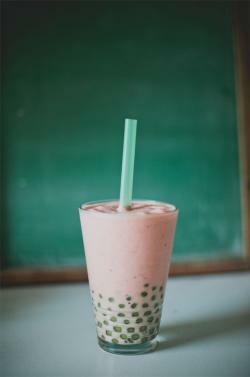 Located in Lakewood this bubble tea haven has a multitude of flavors, fruits and bobba to satisfy that sweet tooth. Main Street in Sumner is well known for its antique stores and quaint shops. It’s an exciting place to stroll and what makes it even better is a stop at the Dairy Freeze. Step inside and you will feel like you’re in the &apos;50s with the sparkling red booths and black and white photos. Once you&apos;ve decided on a milkshake, the selection process has really only just started, since Dairy Freeze has over 35 flavors! Choose carefully, or just come back the next day to try another one. It’s no secret that Ice Cream Social is a local favorite. You will find the line out the door most evenings at this ice cream shop. 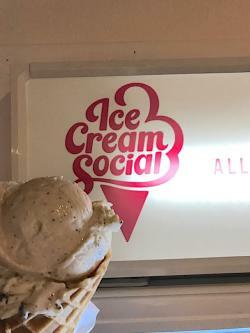 Ice Cream Social is all-natural, homemade and created with local ingredients. 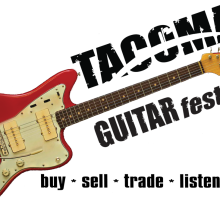 They have a location on 6th Ave in Tacoma and also at Point Ruston. If you have a hard time spotting them just let your nose guide you to the smell of freshly made waffle cones. You won&apos;t be the only one with Ice Cream Social on the mind, so try to visit in off-peak hours on these hot, summer days. You’ll find The Harbor General Store just off the water in the beautiful Gig Harbor. 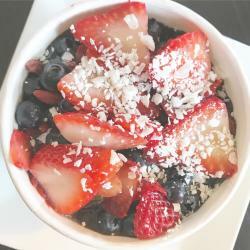 This is the perfect spot to stop on a hot day to get a colorful and delicious acai bowl topped with fresh fruit. If you’re a peanut butter fan they even have an acai bowl that will feed that craving. The Nutty Cacao has cocoa nibs, honey, fruit, granola and last but definitely not least, heaps and heaps of peanut butter. 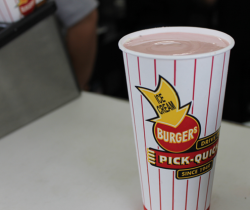 Pick Quick is a go-to for milkshakes in the area. They have many flavors ranging from peach to mint and marshmallow to root beer. Located in Fife, this cute stop has outdoor seating in the form of picnic tables out on the lawn. The whole family will enjoy this local favorite. 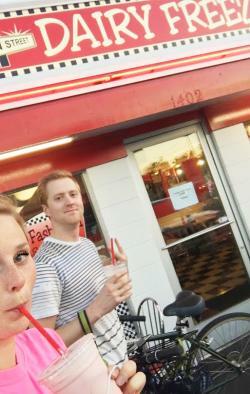 Check out our article of 6 great spots to pick up a milkshake in the region to see more about Pick Quick’s milkshakes. A restaurant like Indochine may not be on your radar for a cold dessert, but it should be! 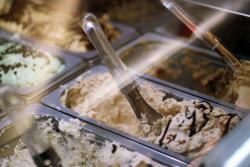 This restaurant makes fresh gelato that is to die for. You don’t need to get a table for this treat, although we highly recommend grabbing a table and some delectable food before diving in on the dessert. But if you’re in a hurry you can just walk up to their front counter where they have their flavors on display.